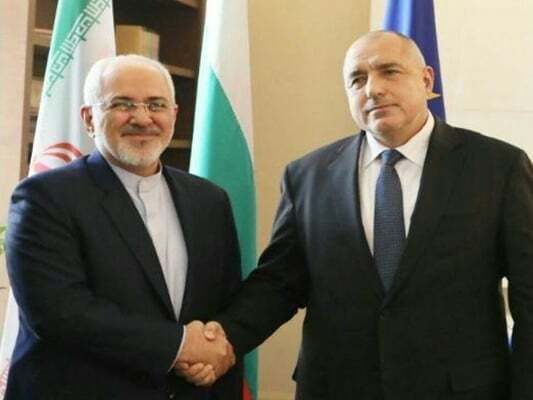 Iran’s Foreign Minister Mohammad Javad Zarif, in a meeting with Prime Minister of Bulgaria Boyko Borisov, has called for expansion of business ties with Sofia. 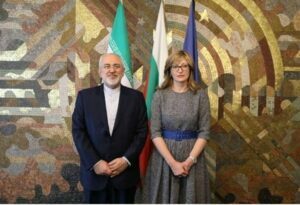 During the Wednesday meeting held in the Bulgarian capital, the Iranian top diplomat hailed the balanced policy of Bulgaria to have good relations with all its neighbours. “We can increase the value of our trade exchanges to more than $1 billion in the future. Transit, oil and gas, infrastructural, technical and engineering services are good areas for cooperation, and the barriers and challenges in this path must be removed,” noted Zarif. The foreign minister welcomed the increase in the number of people travelling to both countries and also the development of tourism pointing out that the ground is prepared for the visits of nationals of both countries. Stressing that there exists a multilateral transit committee with Bulgaria, Zarif suggested that a joint bilateral energy committee also be established between the two states. PM Borisov, for his part, welcomed the Iranian foreign minister, and pointed to his own 2016 trip to Tehran, describing it as a successful one. “During my visit to Tehran, good agreements were reached,” he noted, stressing that the deals must be implemented. The Bulgarian prime minister also outlined the various areas of cooperation between the two countries and called for closer collaborations between Tehran and Sofia. He added that Bulgarian companies in the fields of construction, machineries, pharmaceuticals, and construction of subways, highways, tunnels, bridges, railways, etc. are among the best ones in Europe and stand ready to cooperate with Iran. The two sides also conferred on regional issues and the need to confront terrorism and extremism in the region and the world. The top Iranian diplomat also held talks with Bulgarian economy Emil Karanikolov. During the Wednesday meeting, the two sides explored ways of strengthening economic relations and removing obstacles to greater bilateral trade. 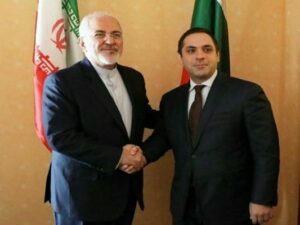 Efforts to facilitate banking relations and improve tourism relations were among the topics covered in the meeting between Zarif and Karanikolov. The two sides discussed issues related to transit corridors connecting the two countries to each other, including problems related to the entrance of Iranian trucks to Bulgaria. Zarif and Karanikolov also exchanged views about establishing a joint fund for supporting cooperation between Iranian and Bulgarian private sectors, and creating a joint energy committee. Later in the day, Zarif also held two rounds of talks with his Bulgarian counterpart Ekaterina Zaharieva. The main focus of the discussions was following up on the agreements signed between the two countries and exploring ways to implement them. The two diplomats also discussed the latest developments in the Syria and Yemen conflicts. They stressed the need for a real fight against terrorism and extremism, and common threats to members of the international community. FM Zarif and his accompanying delegation are on the second leg of their tour of the Balkans and Eastern Europe. On Monday and Tuesday they visited Serbia and held talks with Serbian officials in Belgrade. The next destinations of Zarif and his team are Croatia and Bosnia. Zarif also held talks with Parliament Speaker of the Republic of Bulgaria, Tsveta Karayancheva on Wednesday afternoon. During the meeting, the Bulgarian lawmaker said her county’s presidency over the European Parliament is an opportunity for Tehran to strengthen its ties with the EU. She referred to the history of relations between Tehran and Sofia and called for expansion of bilateral ties in all areas. She also invited Iran’s Parliament Speaker to travel to Bulgaria, emphasizing that the expansion of bilateral parliamentary relations is very important. The Bulgarian official said the country’s presidency of the European Union is a good opportunity to boost relations between Iran and the EU. Zarif, for his part, conveyed the warm greetings of the Speaker of Iran’s Parliament and appreciated the support of the Bulgarian Parliament for developing ties with Iran. Also attending the meeting was the head of the Iran-Bulgaria parliamentary friendship group at the Bulgarian parliament, who presented a report on the group’s efforts to boost ties with Tehran.